Do you drink coffee and pretend it’s water? Some people don’t know coffee can and will dehydrate the body. This is very common. Most people think that as long as they drink something when they feel thirsty, they won’t become dehydrated. However there’s a different view held by some, including me. It says that if you are thirsty, drinking water is important, because you are already dehydrated. Some people are even chronically dehydrated and don’t realize it, because they never drink enough water so they get used to feeling the way it feels when you are in a state of chronic dehydration. I think the best way to get enough water is to drink 10 glasses during the day, as your main beverage. That way, you get used to it as something you take in all day. Also the body cannot really produce healthy stool if the colon is dehydrated, no matter how much fiber you take. In fact, the more fiber you add to a dehydrated colon, the more constipated you will likely become. Water is necessary for the life of you and your colon. 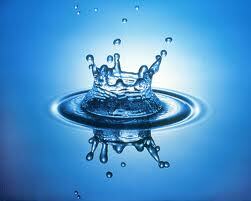 There is a myth that says when you retain water drink less. In actuality you need to drink more. Water releases water.